Home Archive New additions to the Whitewater Hall of Fame! New additions to the Whitewater Hall of Fame! The Board of Governors of the International Whitewater Hall of Fame (IWHOF) has just announced their inductees for 2008. Voted in by 75 internationally recognized whitewater paddlers, the six honorees were selected on the basis of their contributions in each of four categories, and will join the 18 already honored since the IWHOF began recognizing such exceptional individuals in 2005. The ceremony will be held at the Nantahalla Outdoor Center on October 11, during which the 2007 and 2008 inductees will be formally recognized. A slalom racer from Britain before putting his energy into exploration, Mick, who operates the New Zealand Kayak School, has been on such first descents as the river Inn in Switzerland and Austria, the Blue Nile in Ethiopia and the Dudh Kosi in Nepal. He was also a member of Nepal’s Karnali expedition and the “Taming of the Lion” first descent team on the Indus River in Baltistan. More recently he has been knocking first descents in Wyoming’s Wind River Range and on the West Coast of New Zealand. One of the world’s most famous boat builders, Klaus has designed more than 400 boat models during his life, influencing more paddlers than perhaps any other designer in the world. Many paddlers — especially before the era of rotationally molded boats — learned to paddle in a Lettman boat. Today he continues to permeate the paddling scene with his Lettman family of high performance kayaks and paddles in nearly every competition category. Eric has been involved in all aspects of whitewater, from his 10-year membership on the U.S. slalom team — including his participation in the 1992 Olympics, where he was the highest U.S. finisher — to his 16-year tenure on the U.S. Freestyle Kayaking Team, during which he has pocketed five gold medals. He has designed boats that have won the World Championships since 1999, has authored numerous instructional books and videos, and is the founder of Jackson Kayak, the first manufacturer to produce kayaks for small children. A six-time World Champion in Wildwater, Gilles is one of the world’s greatest downriver C1 racers. He was on top of the sport during its most vibrant period, taking home the following results: 1977 (Spittal, Austria) Gold Team/ Silver Individual; 1979, Desbiens, Quebec (CAN) Gold Team/ Silver Individual; 1981, Bala, Wales (GBR) Gold Team and Individual; 1983, Merano (ITA) Gold Team and Individual; 1985, Garmisch Partenkirchen (DEU) Gold Team and Individual; 1987, Bourg St. Maurice (FRA) Silver Team and Gold Individual. One of the first Germans to actively promote the sport of whitewater, Carl organized canoe camps and orchestrated the general assembly of the German Canoe Federation in 1926. An essayist, philosopher and accomplished skier and mountaineer, he wrote many articles for Kanusport, and his 1923 book Paddling and River Riding was reprinted ten times. With few photos available during that era, his photographic skills proved to be invaluable in promoting the sport. Kent’s background includes instruction, World Championship downriver and slalom titles, coaching for the U.S. Team, and working as public address announcer at the last four Olympic Games. His instructional books and videos make him one of the sport’s most recognized paddlers, worldwide. A member of the U.S. Whitewater Slalom and Downriver Team between 1977 and 1995, he’s a three-time U.S. National Champion and two-time World Champion in C1 Team competition and a member of the second team in history to win the team competition twice. 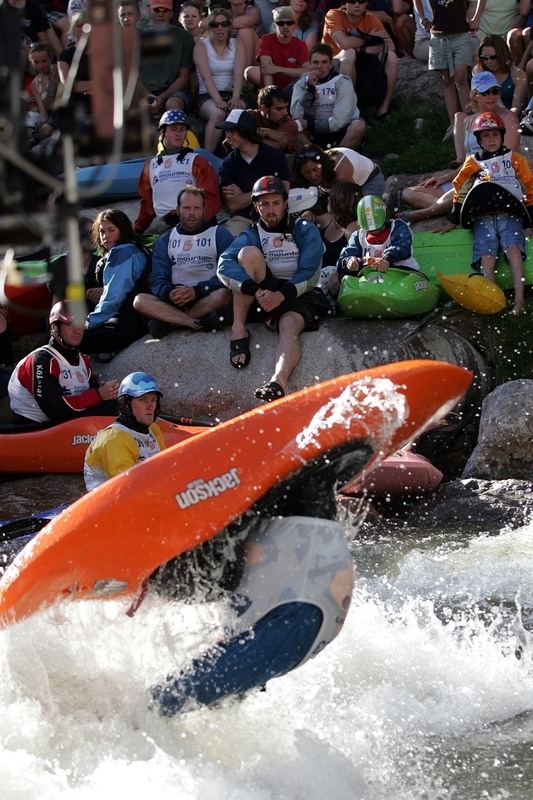 The International Whitewater Hall of Fame recognizes and honors individuals who have made significant accomplishments in and contributions to whitewater related activities. IWHOF is a program of the Paddlesports Industry Association, whose mission is to “promote the sport of paddling, past and present.” For more info check out iwhof.org.